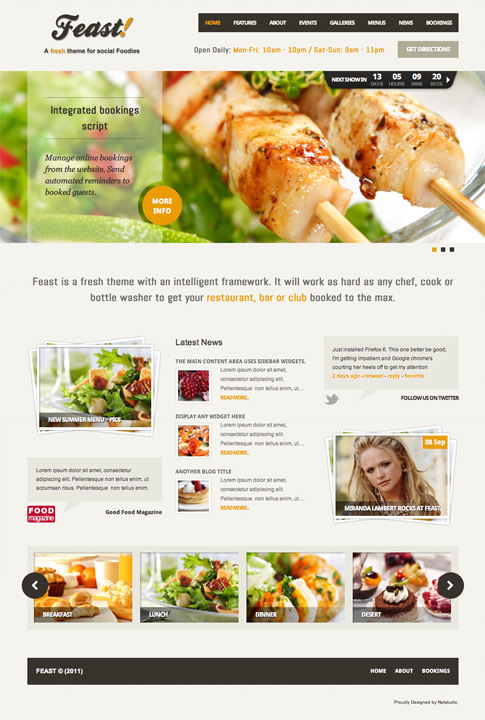 Feast is a intelligent WordPress theme for restaurants, cafes, bars and fine dining. It’s easy to use, easy to customize and most importantly – it ads functionality not to be found in any other WordPress theme. Features include event manager, Menu cards, online reservation form, google maps, photo gallery and more.